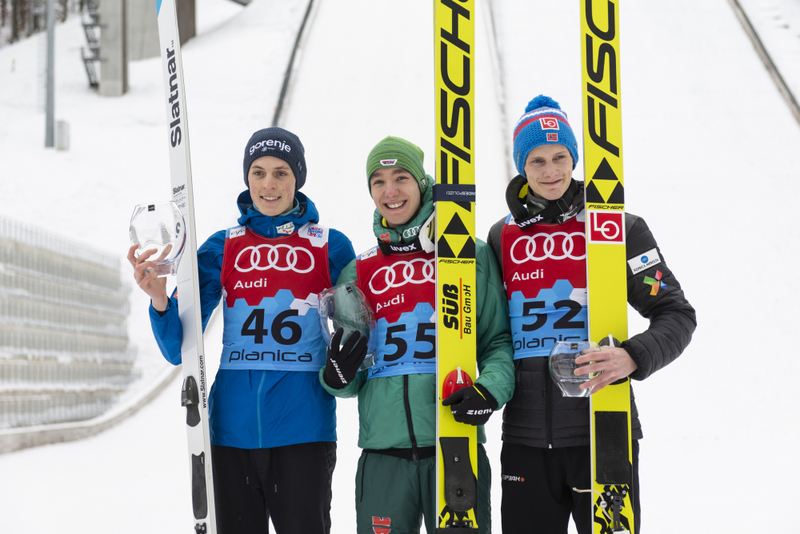 The second day of ski jumping Continental cup in Planica brought us interesting fight for the top place on the podium. Germany’s Martin Hamann came out victorious. Hamann, who came in second after the first round with 138.5 meters, landed on 126.5 meters in the final round and managed to survive an attack of home athlete Bor Pavlovčič who set a new hill record of 145 meters in the first round. With 134.5 meters in the second try he trailed by just 0.4 points and thus finished in second place. Another podium performance came by the hands of Norway’s Andreas Granerud Buskum.